Domtar Corporation, a provider of fibre-based products like specialty and packaging papers, absorbent hygiene products, has reported net earnings of $87 million for Q4 2018 compared to net loss of $386 million for Q4 2017. Sales for Q4 2018 were $1.4 billion. For FY2018, net earnings amounted to $283 million compared to net loss of $258 million for FY2017. When compared to Q3 2018, manufactured paper shipments were down 1 per cent and pulp shipments increased 1 per cent. 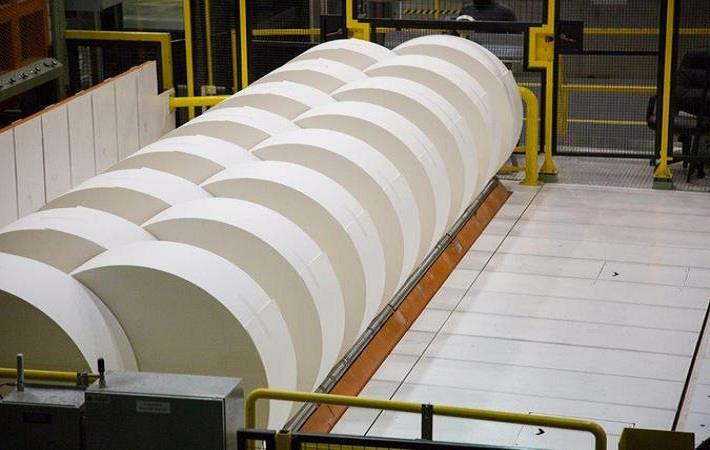 The shipments-to-production ratio for paper was 95 per cent in Q4 2018, compared to 98 per cent in Q3 2018. Paper inventories increased by 34,000 tons, and pulp inventories decreased by 7,000 metric tons when compared to Q3 2018, said a media statement by Domtar. “We had a strong finish to a great year where we significantly improved EBITDA and cash flow. Our solid performance enabled us to return cash to shareholders, manage our balance sheet to preserve financial flexibility and better position Domtar for sustainable, long-term growth,” said John D Williams, president and chief executive officer.